I would read anything written by Sebastian de Castell. 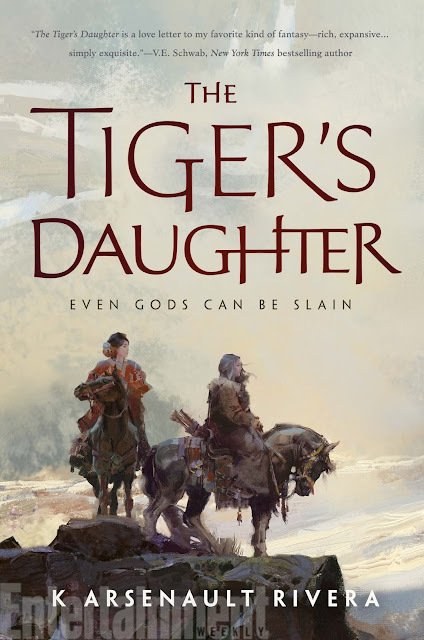 The Greatcoats series, coming to a "shocking conclusion" with the Tyrant's Throne soon to be out, is one of my favorite running series. (Oh next on my reading list!) It's pulpy fun, old fashioned fantasy about heroic protagonists, revenge duels, political conspiracies and truckloads of bromance and a whole lotta love. 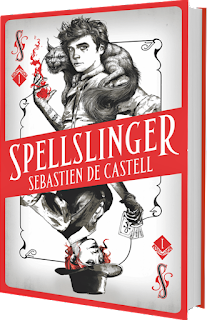 So when I came across Spellslinger, his alleged YA-Fantasy debut, I was equal parts excited - and a bit dismayed. YA? Sticking to the defined cordons of this genre, would Sebastian really be able to bring out the delights of the comic camaraderie of the knights' brotherhood, that dark brooding atmosphere of conspiracies and dangers, the intensity? Or will it be a watered-down version with possibly a candyfloss romance thrown in between teens swooning for each other? So this weekend I was spoilt for choice when it came to the movies. Seriously, weekends like this haven’t happened in a long while. First up – was of course the legendary star-lord and his ragtag bunch of misfits out to save the galaxy from itself, the sequel to the wildly popular and absolutely brilliant first part, Guardians of the Galaxy from Marvel. Next on the plate, was the Alien prequel which is going to be a mindfuck, I can guarantee. With Ridley Scott spinning the wheels crazy in the first prequel to the original Alien series in Prometheus that gave us a twisted convoluted legend of the Aliens ‘origin’ story, the trailer looked mind-boggling. But the movie that I finally settled on, of course was the return of my all-time movie director: Guy Ritchie stamping his unique signature on the much loved legend of the “The Man who would be King”. Continuing with our featured meme ( started by Jill of the Breaking The Spine) this Wednesday, we feature another gem, that looks Oh-so-good in terms of the premise. I cannot wait for this one!